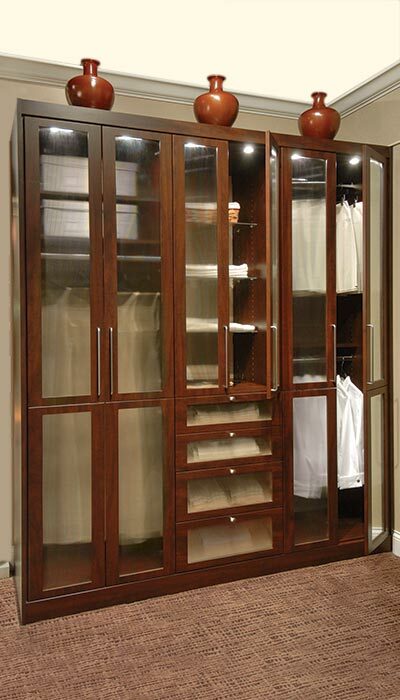 If you have an area where you want to build a stand alone closet but it is relatively public and always needs to look show-ready, consider an elegant, custom armoire style wardrobe design with elegant glass closet doors and drawers! 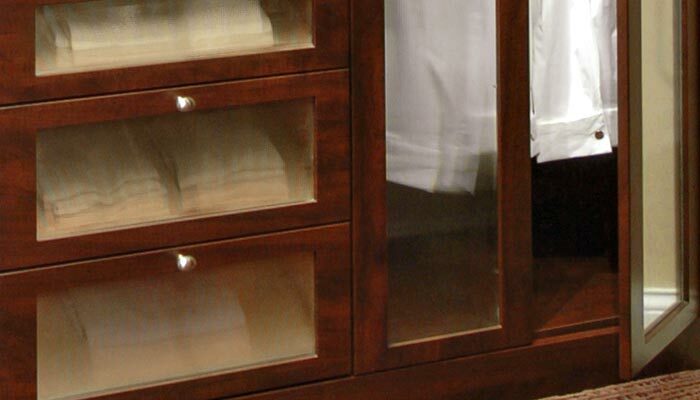 Stylish custom stand alone closets like this one add beautiful storage to a room, but aren't limited by pre-existing space limitations of a built-in closet. 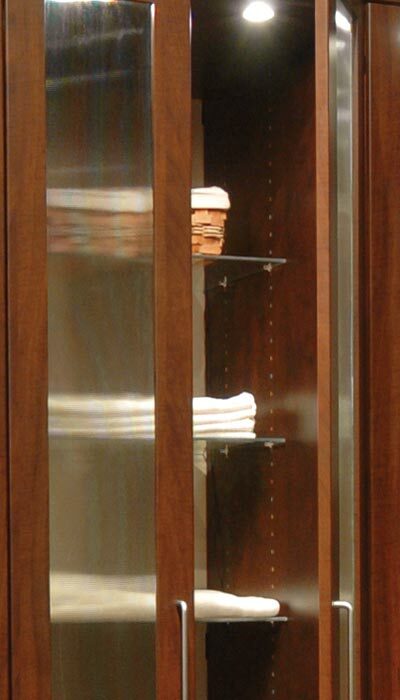 Custom closets with glass closet doors, shelves and drawers add a level of elegance that you won't want to hide! 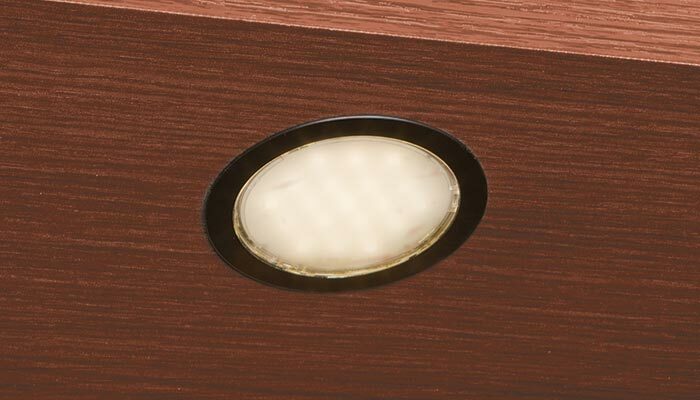 The addition of puck lights and glass shelves inside the cabinet illuminate the whole unit and making it function as a display case suitable for your best clothing and accessories, or anything you might want to show off. The design of this type of wardrobe unit gives the appearance of fine furniture, like a modern armoire, but with added functionality and strength of a traditional closet — although the wardrobe is a stand alone closet, the unit is also anchored to the wall.